'Francis' sold cocaine for over two years for the Hells Angels. 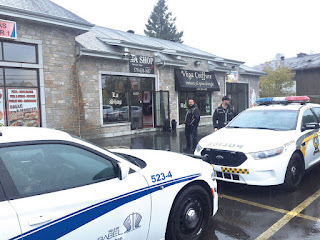 After getting busted and serving 66 months, he decided to walk away from the Hells. That meant living in fear of a bullet in the head or having his car explode. He moved every 3 months for years to avoid detection. 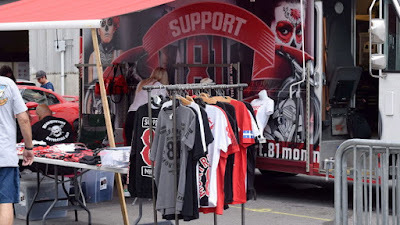 When he learned the bikers were selling t-shirts to children at festivals in Quebec, he decided to speak out. The kiosks are based on two primary functions. The first is the public solicitation, the demonstration that they are there. The second is recruitment. "The Hells and their representatives are never in a place for nothing. Everything is planned quarterly in this organization. It's a big business"
La Shop did not want to comment. On the Facebook page of the company, people are invited to come out in large numbers at the re-opening Saturday. For him, there are two categories of Hells Angels customers. Those who wear the gear for their 'street cred', and others who simply find the clothes to their liking. He says someone wearing Hells support gear is an excellent prospect to be recruited into the crime network. 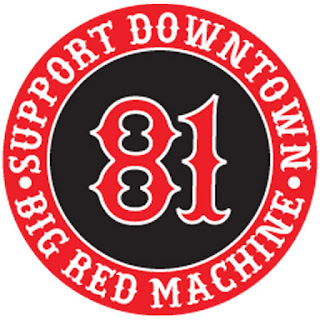 The money raised from sales is used directly to finance the lawyers of arrested Hells Angels. 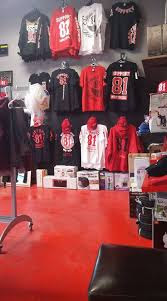 La Shop 81, located in the Saint-Canut area, sells support gear for the MC.